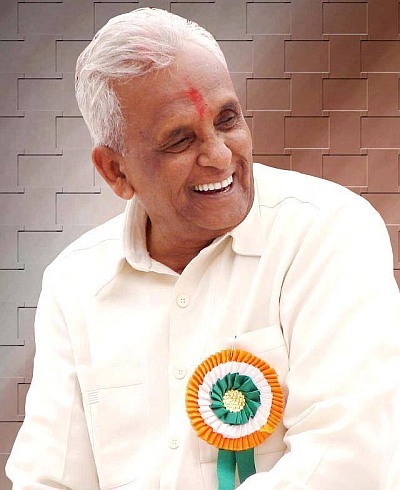 Veteran legislator Ganpatrao Deshmukh on Sunday created history by winning his 11th assembly election. Deshmukh, 88, who represented Sangola seat in Solapur district, had in 2009 become the second legislator in India after Dravida Munnetra Kazhagam Chief M Karunanidhi to have won 10 elections. The Peasants and Workers Party politician, who has represented Sangola for a record 54 years, today defeated Shahajibapu Patil of Shiv Sena by 25,224 votes. Deshmukh polled 94,374 votes against 69,150 secured by Patil. The Nationalist Congress Party had not fielded a candidate against him. Deshmukh, who has worked in his drought-prone constituency, is also a former minister and the October 15 polls were his 13th Assembly election. He was first elected an MLA in 1962 and since then, except for the 1972 and 1995 polls, has won 10 elections. In 2012, Deshmukh completed 50 years in the assembly and was felicitated by the House and the government. He spent most of his career on the opposition benches, but was twice a minister. He first became a minister of state for a brief period when Sharad Pawar split from Congress and formed Progressive Democratic Front government in 1978, and the second time was in 1999, when PWP supported the Congress-NCP alliance. Daily Game: Guess who this actress is!